in this feature very soon - and I am aware it has been a while since I have included any. 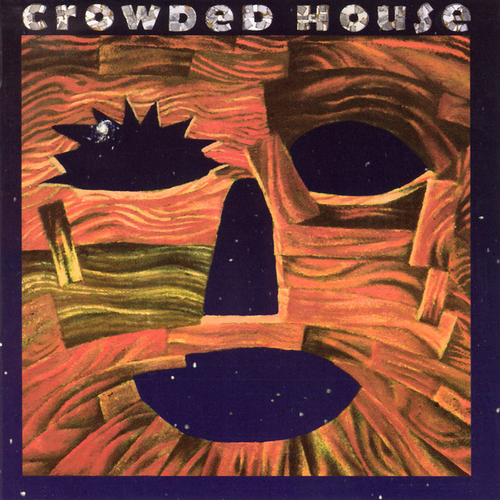 I wanted to include Crowded House and Woodface because it is an album that is back in my life (I am playing it quite regularly at the moment). It is one of those records that was around when I was a child and I always gravitated in its direction. Maybe it is the harmonies or the accessibility of the songs; the fact that there are so many moods or, maybe, it just that special magic that cannot be explained. Woodface was released on 1st July, 1991 in the U.K. and was the third studio album from the New Zealand/Australian band. The arrival of Woodface marked an interesting point in Crowded House’s career. 1988’s Temple of Low Men was a remarkable album and one that gathered a lot of critical acclaim. It was a change of tone from their debut album, and was a big leap in terms of quality. Neil Fin stepped up as a songwriter and dug deeper when it came to emotions. If anything, Woodface sort of brought back what Temple of Low Men was lacking in some respects: those easy hooks and a sense of breeziness. Tim Finn provided backing vocals for Temple of Low Men but was much more heavily involved in songwriting for Woodface. They started writing together when Crowded House had a break during the Canadian leg of their tour – the one that was supporting Temple of Low Men. Neil Finn wrote four of the tracks on Woodface – including one of its biggest singles, Fall at Your Feet – whilst the brothers co-wrote the rest (except for Italian Plastic, which was written by the band’s drummer, the late Paul Hester. Whereas Neil Finn led the writing previously, there was more harmony (in many senses) between the brothers on Woodface and, as such, the album seems much stronger and more ambitious. Tm Finn returned to the band as a full-time member now and, to me, the fact that he is much more a part of the music stepped up Crowded House’s vision and scope. Mitchell Froom and Neil Finn produced Woodface and the majority of the tracks see the brothers harmonising – Neil Finn taking the lead on Four Seasons in One Day shows that they could break up that pattern to devastating and emotional affect. Despite the fact that Tim and Neil Finn were supremely blended during Woodface, Tim would lead the band when they were touring the album in the U.K. – a brief moment in the spotlight and I wonder whether Tim and Neil Fin will ever record a Crowded House album together again. Everyone has their favourite moments from the album but, to me, three of the singles stand out: It’s Only Natural, Fall at Your Feet and Weather with You are perfection. These tracks were release around 1991/1992 and, at that time, I was at secondary school – I may have just been in the final stages of primary school when Fall at Your Feet came out in September 1991. On the band’s new, third album, Woodface, singer-songwriter-guitarist Neil Finn continues to prove himself one of the canniest and most gifted melodists around, and here he’s given vocal and songwriting assistance by singer-pianist Tim Finn, his brother and former bandmate in Split Enz, whose plaintive tenor makes for some spine-tingling harmonies. The beauty of the music is, however, sometimes mired in a self-conscious sardonicism that, more than a decade after New Wave came along to mock every musical and cultural movement that preceded it, seems a bit tired. Best are the romantic ballads, particularly the buoyant ”It’s Only Natural” and ”She Goes On,” which features the most elegantly elegiac melody line you’re likely to hear this year”. “Where Crowded House's previous album, Temple of Low Men, showcased the often dark side of a man alone with his thoughts, Woodface represents the joy of reunion and the freedom of a collaborative effort -- more than half of the album was originally conceived as a Finn Brothers project, which was Tim and Neil's first crack at writing together. The songs are easily their finest to date, combining flawless melodies and the outstanding harmonies of the brothers' perfectly matched voices”. Woodface is an album that seems to grow stronger over time and keeps on revealing fresh layers. It sounded pretty bloody great when I was a child but, in 2019, I think many people overlook Woodface and it definitely warrants new investigation. “By all accounts, Crowded House (over the objections of management and label) insisted that the first single, and the album’s lead-off track, be the surreal dance song “Chocolate Cake.” The Finn/Finn collaboration was a tongue-in-cheek attack on Americans and their obsession with excess and celebrity. “Chocolate Cake” took potshots at everyone from Tammy Faye Baker to Andrew Lloyd Webber (“May his trousers fall down as he bows to the queen and the crown”). The joke wore thin quickly. While Woodface became the band’s best-selling album in Great Britain, topped the chart in New Zealand and was a huge seller in Australia and Japan, it hit the U.S.A. with a resounding thud. It peaked at No. 83 in Billboard. “Chocolate Cake” had been issued early, as a CD single and accompanied by a garish, expensive video”. “Woodface is the strongest collection of songs put out by Crowded House on one release. Taking that fact into consideration, Woodface is overdue for a well deserved dusting off and re-examination. What the band produced on Woodface was transcendent pure pop, where they produced numerous three minute melodic miracles. The band created lyrical songs that were in keeping with their desire to follow the musical whimsy which was woven into their DNA. The album displayed Neil and Tim’s fantastic songwriting abilities. It also emphasized Neil’s knack for crafting high quality songs that combined meticulously crafted irresistible melodies and lyrical details. Critics have always known and credited Neil with the ability to write lyrics that set the band apart from the rest, but on Woodface he exceeded himself. Thematically and lyrically the material soared above what any counterparts had on offer. Finn all the while provided beautiful melodies and memorable choruses that addressed happiness as real but ephemeral, and love songs set on their head with thinly veiled biting realism. The resulting verdict is that if not for the misfiring of the first track Woodface comes very closing to being a Crowded Housemasterwork. “The song in hindsight that many agree should have begun the album; its Only Natural has that familiar beloved Maori strum guitar. Even better was the beautiful harmonizing between the Finn brothers. It is a lovely shimmering song with a country twang that Tim introduced to liven up CH’s sound. The lyrics speak to human nature and the way every one wants things their way. “…and we don’t even have to try”. Everyone wants to be on the top of the heap with out it being difficult. The splendid Fall at Your Feet is a sublime song. It is the perfectly bridge from the brooding Temple of Low Men, taking the mood and instrumentation and shaping it into something enthralling. The song overcomes one of the biggest obstacles that Crowded House had always faced; which is that the vocals and lyrics are so strong that the stellar musicality of their work gets overlooked, everything on this track is in perfect balance. The keyboards are bell like and the gentle touch to the production is spot on. The theme is an examination of the hills and valleys of relationships. Displaying the tangled emotions of a long term love; “Whenever I fall at your feet you and you let your tears rain down on me.” It is the fallout after an inevitable fight, “…the finger of blame has turned upon itself and I’m more that willing to offer myself do you want my presence or need my help who knows where that might lead.” This song contains some of Neil Finn’s most beautiful vocals”. If you have not heard Woodface or feel like the album is a bit outdated, go grab it on vinyl and (re)discover this incredible work.